2011 was a year of significant work for Malaysian engineering and fabrication companies, which will likely to continue into 2012, it is expected that other segments of the value chain will begin to pick up especially for offshore players. “More importantly, both domestic and international oil and gas players have not cut their capex plans going into 2012, as crude oil prices appear to be stable above the economic sanction prices for conventional fields as well as deepwater and ultra deepwater field types of US$60to US$70 per barrel,” stated RHB Research. While corporate players recognised the dangers of the current unstable economic conditions, the research firm believed that the 2008 experience had also given these companies some confidence to proceed, albeit with both eyes open, with long-term projects. According to independent energy consultant IHS Herold, capital spending on exploration and production (E&P) by 139 publicly-traded O&G companies was expected to rise by 12 per cent to US$406 billion in 2011. All these indicated the positive sentiment for the year ahead. Focusing on Petronas, RHB Research viewed that the company could not afford to just focus on replenishing dwindling reserves or falling crude oil output. The national oil company had a multi-pronged approch, to address these and other issues, particularly in respect to the supply of gas for the energy and petrochemical industries. On top of that, it already has the Enhanced Oil Recovery (EOR) initiative and the marginal fields projects, and was also exploring ways to improve the output from the existing production facilities (through Improved Oil Recovery projects). Onshore, according to recent news reports, Petronas planned to build three more Liquefied Natural Gas (LNG) regastification plants in Pengerang (Johor), Lahad Datu (Sabah) and Lumut (Perak), specifically to address the gas supply shortage, stated RHB Research. 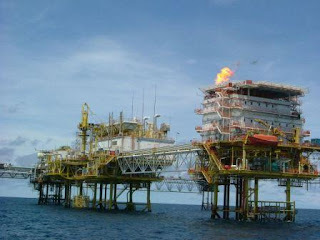 Meanwhile, the first LNG regasification terminal in Malacca (with a capacity of 3.6 million tonnes per annum) is currently under construction and was scheduled to be commissioned in July-August 2012. “We thus believe Petronas’ strategy will benefit a wider range of Malaysian service providers, in particular those that have proven themselves in past contracts, and have proven technology,” it added. On the outlook of crude oil pice movement, it revised its average crude oil price assumptions to US$95 per barrel for 2012 and US$99.8 per barrel.